Have you ever found yourself asking, “How much needlepoint do I need in my wardrobe?” It may sound odd to some, but after taking one look at Smathers & Branson's offerings, you may change your mind. This unique leather and stitch-work shop at Westwood Shopping Center in Bethesda, MD began as an idea between two friends in college. After being gifted some needlepoint belts from their girlfriends, the two young men began working on the idea that would become Smathers & Branson. What began as a belt-making company has quickly spread into a niche industry, with the group making products for major sports teams, national fraternities, companies, plus custom designs. Their products have grown into wallets, phone covers, bracelets, key fobs, dog collars, and beyond. 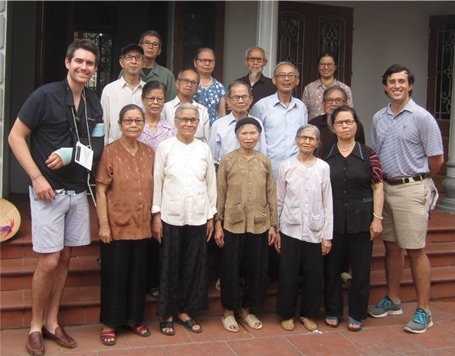 In addition to their mission of “offer[ing] the finest products with customer service to match,” Smathers & Branson has a strong belief in social responsibility, having created a cottage industry in Vietnam of local artisans. They are active participants in the Fair Labor Association, as well as country specific organizations like One Step Vietnam – a corporate social responsibility monitoring team. To view their newest offerings both online and at our Westwood Shopping Center, check out their website. We’re pleased to welcome Smathers & Branson into the Regency portfolio!